Lunar-themed coins are an increasingly popular option today among numismatists and collectors alike. Following the Perth Mint’s lead, sovereign mints such as the Royal Canadian Mint and Royal Mint of the United Kingdom have launched lunar-themed coin collections in recent years. For those looking for silver for sale, these coins are a good bet. Right now, the 2017 1 oz Silver Australian New Year Dragon Coin is available to purchase online at Silver.com. Ships to you in a clear display case with Certificate of Authenticity! Bears a face value of 1 Dollar backed by the government of Tuvalu. 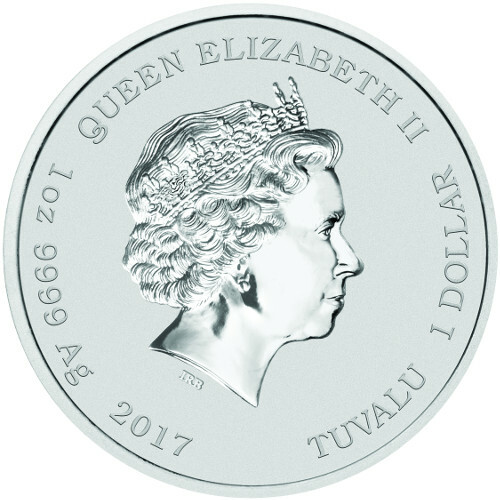 Obverse features the image of Queen Elizabeth II. 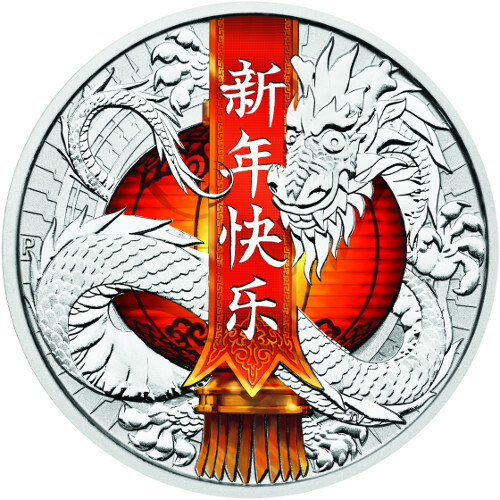 Reverse depicts the dragon with a red, colorized banner down the center. 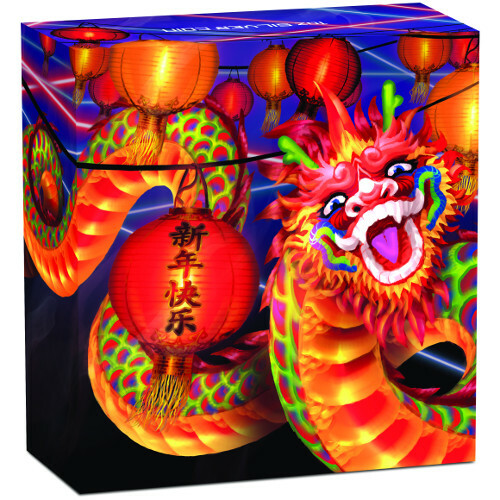 Your 2017 1 oz Silver Australian New Year Dragon Coin celebrates the turning of the calendar on the Chinese Lunar Calendar, and features images of the popular symbols of the New Year festivities held across China and by Chinese nationals abroad. Each coin arrives in a clear plastic latex display case, with a black frame surrounding it and a numbered Certificate of Authenticity included to validate your purchase. Dragons are well-recognized symbols of Chinese culture that are believed by many to bring good luck, but are also considered to be symbols of power, strength, wealth, and good fortune. The 2017 1 oz Silver Australian New Year Dragons in this listing are in BU condition. Coins in BU condition exhibit no signs of wear and tear, though you may notice minor flaws including breaks in the luster, spotted surfaces, and contact marks from the coining process. The obverse of all 2017 1 oz Silver Australian New Year Dragon Coins includes the right-profile portrait of Queen Elizabeth II. 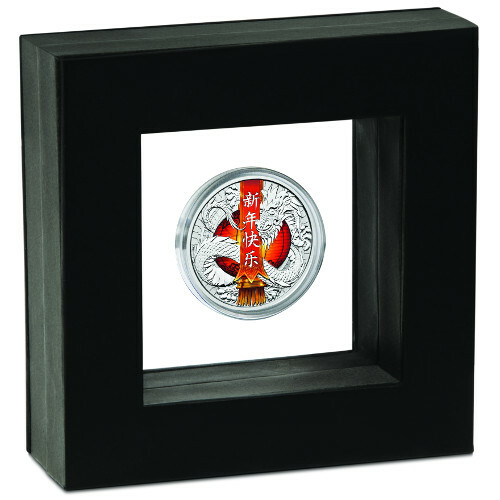 Her Majesty’s image is featured on all Perth coinage is this particular design is the fourth-generation depiction of the Queen as created in 1998 by Ian Rank-Broadley. 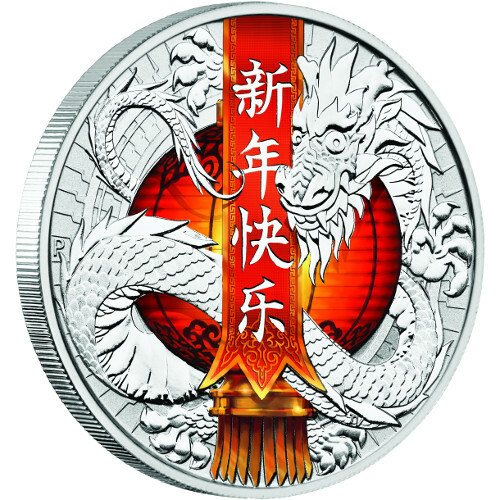 On the reverse of each Silver Dragon coin listed here you’ll find the image of a red banner down the middle with engravings of “Happy New Year” written upon it in Chinese. A red-and-orange colorized lantern is in the background, while the image of a dragon wraps around the entire reverse field of the coin. Perth Mint is Australia’s oldest operating facility. Founded in 1899 as the third and final Royal Mint facility, it outlived the Sydney and Melbourne Mints well into the 20th century. Today, it is a state-owned entity of Western Australia that operates independently of the Royal Australian Mint, which is the federal mint in Canberra. If you have any questions, please feel free to contact Silver.com at 888-989-7223, chat with us live online, or email us directly.